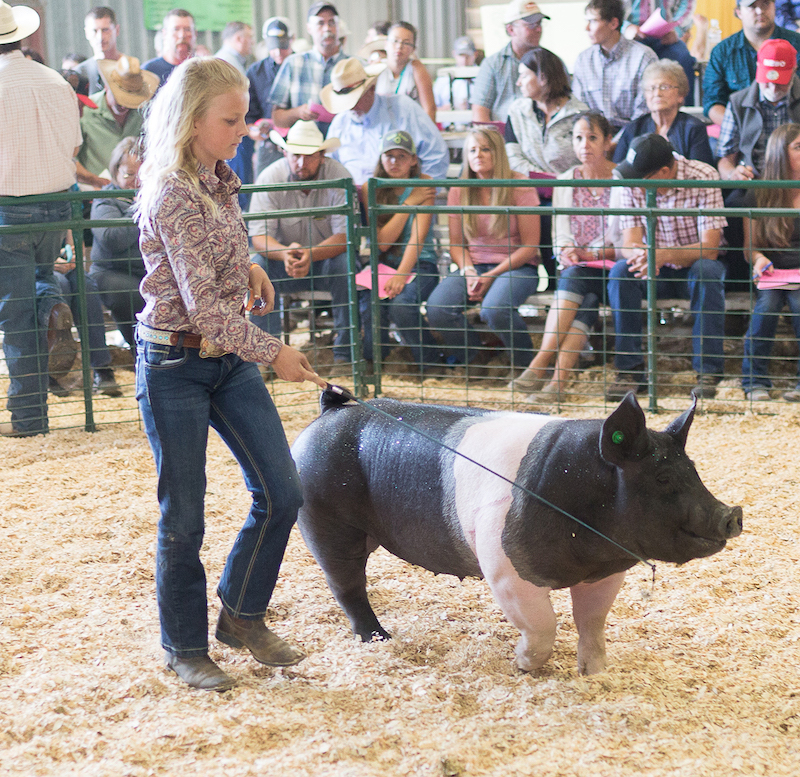 Walk through the animal pavilion at the Central Montana Fair and you will have no doubt that agriculture is alive and well in the heart of Montana. Cows and chickens, rabbits and pigs, goats and cats—all on display. Examples of months of hard work, detailed record keeping and many lessons learned. Fergus and Petroleum counties produce 237 4-H members and 66 amazing volunteer leaders. Add in another 150 from Judith Basin County. These members accounted for 425 indoor exhibits, 13 cats, 2 pocket pets, 14 dogs, 115 poultry, 35 rabbits, 72 horses, 98 beef, 17 goats, 37 sheep, and 113 hogs at the 2018 fair. What you don’t see as you browse the indoor exhibits and animal stalls, are the early mornings these youth were up feeding their animals along with the rest of the herd, winter evenings spent learning from Grandpa how to figure a healthy ration for a growing animal, or mastering a whip stich or riding along with an older sibling, learning the ropes of picking out a 4-H pig. Long after the carnival is closed and the rodeo has ended, these young 4-H and FFA members are cleaning stalls, hauling water buckets, and giving a loving scratch behind the ear. So yes, agriculture is alive and well in Central Montana, but that means hard work, perseverance, and respect are also thriving here as well. Here’s to the next 125 years of thriving agriculture in Central Montana.